I have a real treat for you all today. The lovely Caroline has stopped by for a quick chat about her new book, The Drowning of Arthur Braxton, which is published today! Happy Publication Day Caroline! So she’s taken time out of her busy schedule today to pay us a visit. Without further ado, on with the interview! Jamieson: Hey Caroline! Welcome to the blog! It’s so lovely to have you visiting! Caroline: It’s my absolute pleasure to be here. I’ve brought you a slice of lemon drizzle cake, topped with almonds. Jamieson: Oh, lemon cake. One of my absolute faves. I’ll try and share, really. So, the reason we’re all here: Happy Publication Day! Can you tell me about your new release The Drowning of Arthur Braxton? Caroline: Thank you! 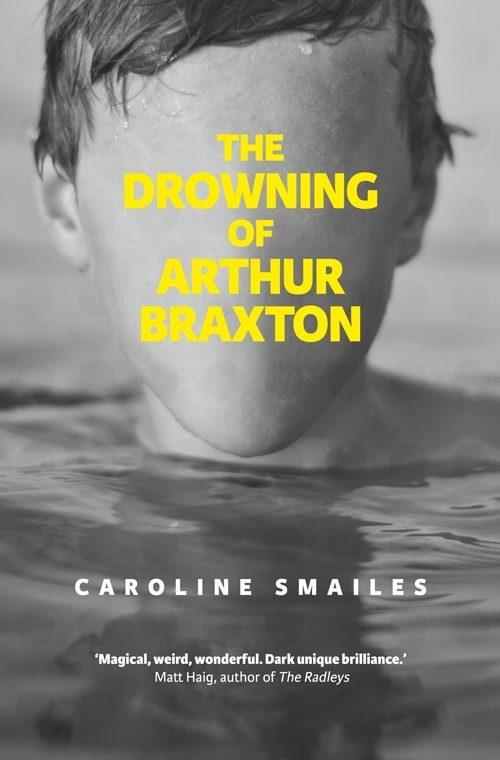 The Drowning of Arthur Braxton is what others have described as an unflinching account of the pain of adolescence. I’ve tried to layer in some dark humour, but the story is about the power of first love, about how that love can transform the most unhappy of lives into something extraordinary. Jamieson: Now, as you know, I absolutely loved this book. It’s so different from your other books. A modern retelling of myth with portions of it told in dialogue, like a Greek morality play. It even had an audience with two of my favourite characters in the book, Kester and Pollock. You chose the Greek myths of Apollo and Daphne, Pollux and Castor, Jason and Medea. What was it about these particular myths that inspired you to entwine them together? Caroline: A truly difficult question, simply answered by the fact that I adore all Greek mythology. I am obsessed with the tragedy and the beauty, I’m fascinated with how Greek mythology has changed over time to accommodate the advancement of their culture. All I’ve done is take three established myths and weave them into a very modern story. I wanted the stories in the novel to be able to stand-alone, I hoped that not knowing the Greek myths wouldn’t detract from the read, but that knowing the myths would offer an additional layer. In terms of those specifically chosen myths, Medea has fascinated me for years. I’ve had a Post-it note to retell her story stuck to a corkboard since I wrote my debut. Her tragedy is compelling. I touch on Pollux and Castor in a minor way, creating characters bonded by love and sacrifice, a theme that threads through the novel. And finally the Daphne myth – being hunted by Apollo slotted into Laurel’s story with ease. It is possible that the myths chose me, but I fear that makes me sound somewhat insane. Jamieson: You have always created such amazing protagonists. First it was Jude and then it was Ana and Nina and then Kate. This is your first male protagonist, though others do get page time. What inspired you to tell Arthur’s story? creating a convincing teenage, male voice terrified me. I write in first person, which would mean no escape from creating an undoubted voice and view of the world. Originally the novel was called ‘Madame Oracle’ and it was Laurel’s story. Arthur was a late addition, he happened when I faced up to the fact that something was missing from my narrative. I researched male voices for months and months, then I asked my teenage son far too many embarrassing questions in an attempt to get the character right. Creating Arthur Braxton has been my biggest challenge as a writer, but also one that I thoroughly enjoyed creating. Jamieson: Can you tell us why language plays such an important role in your stories? In The Drowning or Arthur Braxton, you tell portions of the story in play like format. You’ve also used sign language, definitions, foreign dialects and more. In your first two novels, In Search of Adam and Black Boxes, you didn’t just use language, you played with the very form of the page and used it as a canvas. What is the inspiration? 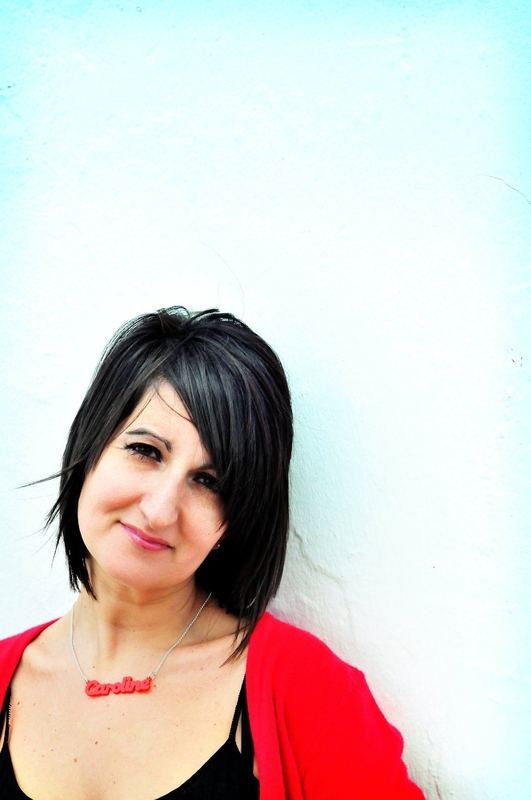 Caroline: Language is my passion, my academic background is in linguistics. Storytelling is art, you’re right the blank page is a canvas, the words can be presented and formatted in so many different ways. In the past I’ve used white space, I’ve used altered fonts, I’ve used sign language to show silence and in ‘The Drowning of Arthur Braxton’ I use play script for Delphina’s voice. I have three protagonists – Laurel, Delphina and Arthur, but only Delphina’s voice is heard in this way. My reasoning is to offer an indication that Delphina is not as she seems, that she isn’t as rounded, possibly as real, as the other two characters. For the reader to not be able to step into her head, for the reader to not be able to see through her eyes, suggests that the reader is incapable of fully understanding Delphina. I do not open her up for scrutiny, she isn’t ever fully seen or heard. failing that, it is available on Amazon.co.uk in both Kindle and paperback editions. For those not in the UK, The Book Depository will ship abroad free of charge. It’s available in Canada on 12 April and in Australia on 1 June. Jamieson: I absolutely loved The Drowning of Arthur Braxton. It was breath taking and wonderfully gorgeous. I hope you sell millions of copies because everyone should get a copy of this book. If you want an amazing book to start your Spring off right, it’s this one. I understand that there might also be a movie? Caroline: Thanks so much for your beautiful words! And yes, the novel was optioned for movie after the first draft was read by a rather perfect director. At the moment we’re waiting for news, so I’m keeping everything crossed and trying hard not to fantasize about my ideal cast. Jamieson: Thanks so much for stopping by Caroline, it’s been an absolute honour! Caroline: Oh Jamieson, the honor is all mine! Thank you for being such an amazing support. Now, let’s eat cake and tell each other more secrets. Brilliant interview. A few choice nuggets about the plot, as well as peeling back a few more layers from the onion that is Caroline Smailes.